Last week we had a volunteer from American University to spend time with us. I asked her to spend some time in our construction zone. In this post you can see some of the work that the children produced with her as co-constructor of knowledge. 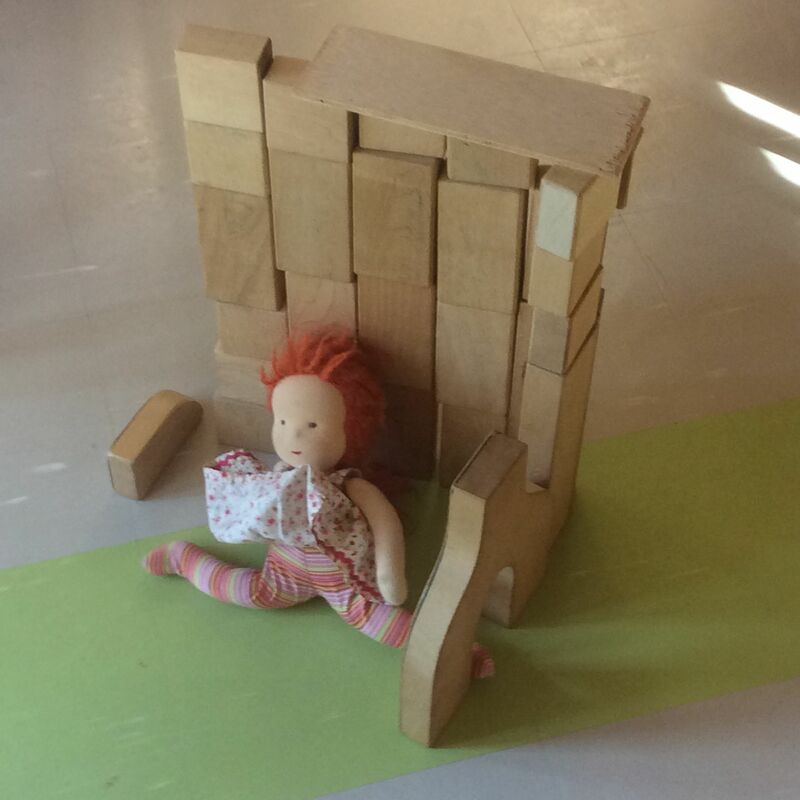 The doll was a visitor as well in our classroom for the day. Visitors (both real and stuffed) provide the children with inspiration in producing new work. We are thankful for new and old friends (both real and stuffed) who make their way to the Princess and Ranger classroom.